Since graduating from the Department of Art History, Film and Visual Studies at The University of Birmingham, I thought life could only get easier with a degree under my belt. I started the summer as an optimistic graduate, thinking “Yeah, I’ve got this” for every job/internship/work experience placement that I applied for. This feeling of optimism lasted about two weeks. I made out over thirty applications but only heard back from one, at the White Cube Gallery. I applied to the White Cube through their website, after visiting their Bermondsey gallery in the summer and having been impressed with what I saw. I sent a long cover letter detailing everything I knew about contemporary art, thanks, in no small part, to the BA I’d just finished at Birmingham, in the hope that my application would stand out. Luckily, it paid off!! I was invited to interview with the Head of Archives who decided that I was a good enough candidate to be her intern and assistant. 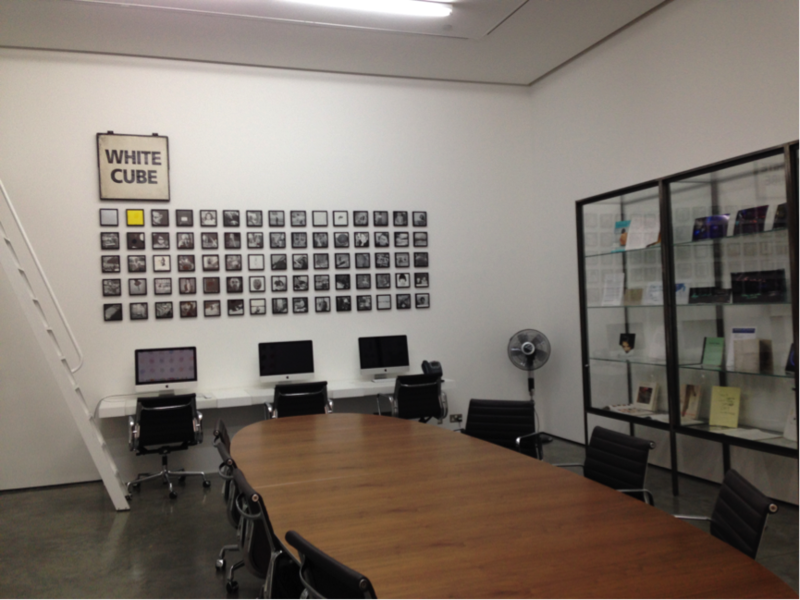 Thus began my journey as an Archive Editorial Intern for White Cube Gallery. On my first day at White Cube, I was given a tour of the gallery. The gallery is a refurbished 1970’s warehouse and the space is amazing. There are three major exhibition spaces as well as an archive space, private viewing rooms, office space, a warehouse, and auditorium and a bookshop. The warehouse is one of the best spaces: the gigantic space houses loads of works of art and I was lucky enough to see pieces by the likes of Marc Quinn, Eddie Peake and Jac Lierner, which were being photographed and stored. In my role as Archive Editorial Intern, I was expected to manage the White Cube’s archive. 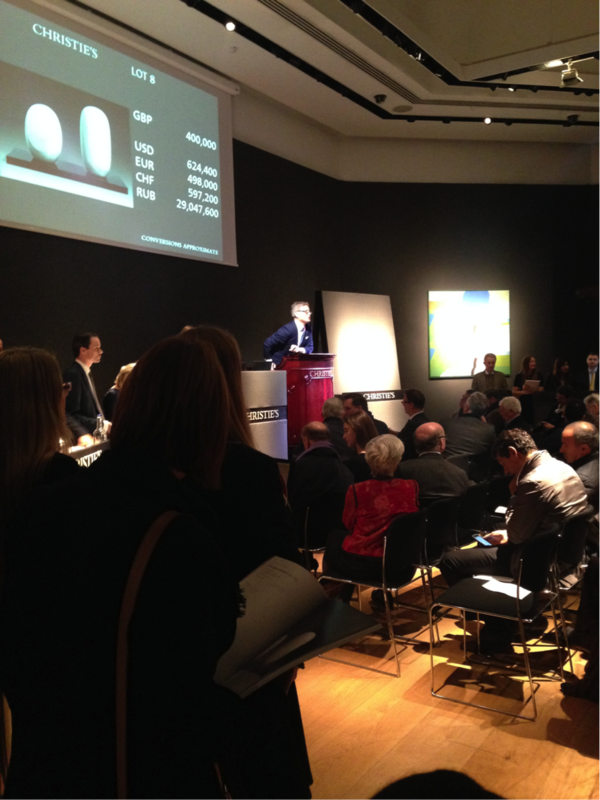 The gallery holds a comprehensive archive with material dating from Jay Jopling’s first charity auction. Every single artist represented by White Cube has archive material, which ranges from press articles, letters and other ephemera (I found an artist’s paint palette during one of my trawls through the boxes). As an intern, I was expected to maintain this archive by requesting material from exhibitions that the artists in question were involved in, and organise them properly in hard and digital formats. This entailed corresponding with international and national galleries and museums to acquire this material. In the second year of my BA degree I did a module called ‘Inside the Gallery’, and the module played a formative role in my decision to pursue a career in the professional art world. After curating a hypothetical exhibition and working on the interpretation material for the exhibition, which is the main output of the Inside the Gallery module, I decided that working in a gallery was exactly what I wanted to do. What’s more, the knowledge and experience I gained from the module was a considerable help during my internship, because I was already aware of the ways in which galleries operate, especially when it comes to marketing, publishing and the press. It also helped me during my exhibition material requests as I felt comfortable taking the responsibility of corresponding directly with other art institutions and understood my responsibility in maintaining the White Cube archive. One of the projects I was given during my internship was to curate an exhibition on Tracey Emin, based on archival material that the White Cube possesses and features writings by Emin. This exhibition had to be visually powerful as well as representative of the White Cube’s holdings of Emin’s material. 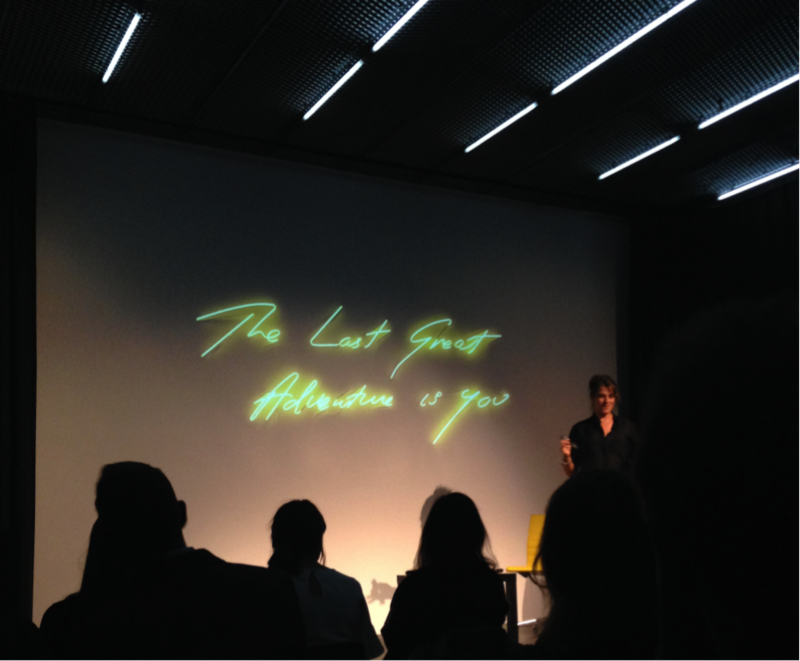 The focus was to be on Emin’s solo exhibitions and notable projects, such as her column for The Times Magazine and her contribution to the Olympics. The material I had at my disposal, the contents of the archive, includes hand-written letters to Jay Jopling as well as postcards sent by Emin from her holidays to the staff at the London gallery. There is, in short, a wealth of material in the archive, which is regularly used by the gallery as promotional objects or research material. My internship lasted several exhibitions. The Gallery mounted shows on David Hammons, Tracey Emin, Etel Adnan and Liza Lou and Senga Nengudi, all of which I was able to contribute directly towards. Everything I did had a purpose for the archive. As an intern, I didn’t think I would get so much responsibility working in the gallery but I was responsible for the artists’ bibliographies and publications. The internship also allowed me to visit other galleries and join in with the events at White Cube, such as private views, talks and lectures. I had the privilege of attending a private view of Anselm Kiefer’s Royal Academy exhibition which was guided by Tim Marlow. My experience at the Barber Institute, where I regularly volunteered during my degree and where the Art History department is based, the RBSA, where I worked during my degree, and the White Cube has demonstrated quite clearly that not every gallery works in the same way, and my combined experience has introduced me to a wealth of careers that are possible in the arts sector. The internship also allowed me to develop my understanding of contemporary art and its processes. I did work directly for artists studios, like Jake and Dinos Chapman and Mona Hatoum, which has given me a valuable insight into the way artists mediate between dealers and their consumers. From my experience, I would definitely advise sending out loads of CVs because you never know what you might get. During my time at White Cube, I was also offered work experience with Christie’s House Sales department. A placement I applied for in August, I was offered a chance to work there in November for two weeks. Things like that can happen – you get nothing and then suddenly two things come at once! The past year after graduation has been incredibly valuable for my own personal development and I think I finally have an idea of what I actually want to do. My final piece of advice to all would-be graduates is not to worry about securing a job straight away, particularly in the arts sector, gaining the professional experience through voluntary or unpaid work is just as important as the knowledge gained from the degree…so I guess…just go for it! The Department is pleased to announce the Matt Carey-Williams and Danny Roark Awards, a generous donation funded by one of our alumni that will allow undergraduate students to apply for bursaries of c. £300-500 to enable them to undertake internships, work experience and placements. The University of Birmingham UK Professional Work Experience scheme also offers financial support for undergraduates (except final years) to undertake work experience in the UK in the summer vacation. Find out more here. The deadline for applications is 29 March. Last year, History of Art student Olivia Weightman received funding to undertake work experience at Christie’s. Read about her experience here. The Association of Art Historians (AAH) also runs an Internship Award. There are two awards of up to £2,000 each towards placement-related expenses such as accommodation, travel and food. The Internship Award supports both full-time and part-time placements/ internships. The deadline is 1 April. Great post – really interesting to hear what it’s like on the inside of a leading commercial art gallery! How did you come to get the internship in the first place? Was it advertised somewhere?